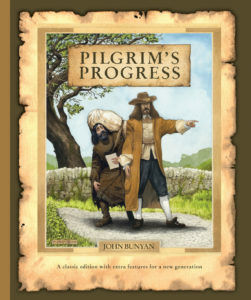 In The Pilgrim’s Progress, author and pastor John Bunyan relates the vision of a man whom his main character, Christian, sees sweeping the wooden floor of a large room. The man’s sweeping produces an impenetrable and intolerable cloud of dust. The more he sweeps, the more the dust is stirred up, and the more the dust is stirred up, the harder and faster he sweeps. The hopeless situation seems to have no end in sight until a young girl comes and sprinkles some drops of water over the dust, causing it to drift back to the floor where it can be swept into a neat pile and disposed of properly. This vision, Christian comes to understand, represents the futile human effort to deal with sin through effort apart from the gracious working of the gospel. Bunyan teaches us that our great effort in fighting sin must be undertaken in the power of the Holy Spirit through the gospel. 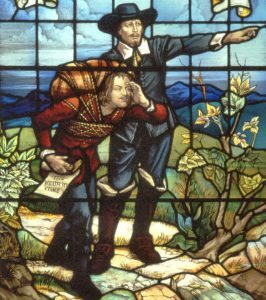 If our efforts are divorced from the work of the Spirit, they will prove futile — just like the ineffectual sweeping of the serving man in Bunyan’s tale. It is a valuable lesson: We cannot sanctify ourselves in our own strength any more than we can save ourselves in our own strength. Unfortunately, it is startlingly easy to build an unstable, lawless shack on this solid, theological foundation and to live contentedly there with our sins as we wait for the Holy Spirit to take out the trash. This approach is a misunderstanding of both Bunyan and the Bible, and it proceeds from a confusion of two distinct but related aspects of sanctification, called definitive and progressive. Those whom he foreknew he also predestined to be conformed to the image of his Son, in order that he might be the firstborn among many brothers. And those whom he predestined he also called, and those whom he called he also justified, and those whom he justified he also glorified. Our conformity to Christ is the purpose of God’s choosing and predestining us, and he alone is the one who brings it about. This is “definitive sanctification,” which John Frame calls a “once-for-all event, simultaneous with effectual calling and regeneration that transfers us from the sphere of sin to the sphere of God’s holiness” (Systematic Theology, 986). Definitive sanctification is an act of God’s grace, not our effort, to which we contribute no virtue, but only receive by faith. So, aren’t we back to that unstable, lawless shack again? The answer is no, because this is precisely where progressive sanctification comes in. Progressive sanctification is the practical development in our earthly lives of the definitive sanctification that God accomplished once-for-all. Progressive sanctification, unlike definitive sanctification, actually empowers the believer to respond with diligent, God-supplied effort. “Think of [progressive] sanctification as the outworking of the new life given in regeneration” (Frame, 987). We must be careful not to speed-read through the first parts of those verses — the parts that talk about human “work” and “toil” — in order to get to the more exciting parts that emphasize the working of God. 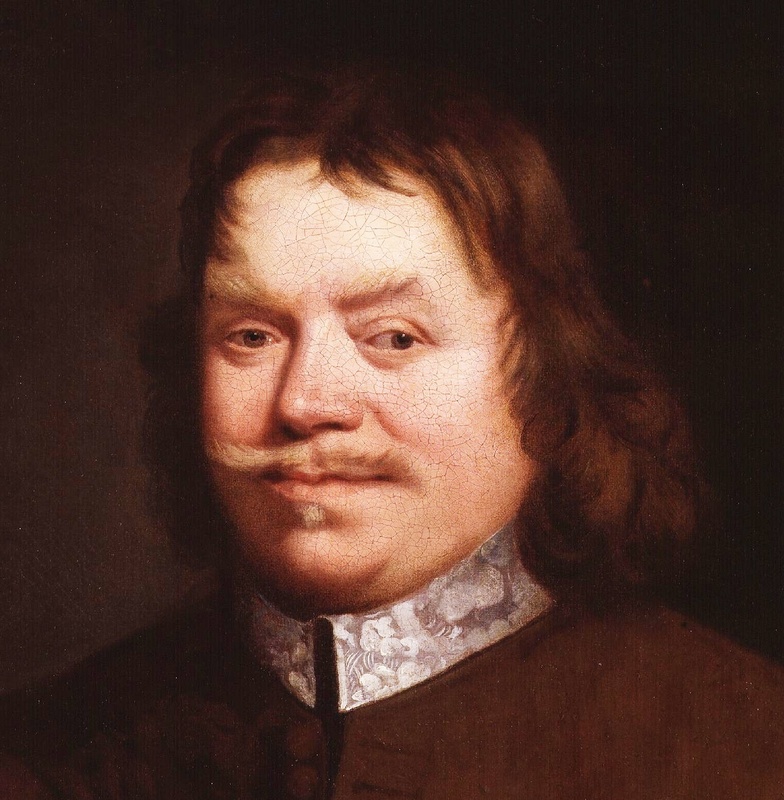 Now we are in a better position to understand Bunyan’s image of the sweeper. Yes, the water of gospel grace is necessary to deal effectively with the dust of sin, but the girl who sprinkles the water still diligently picks up her broom to sweep the dust away. Definitive and progressive sanctification are both necessary facets of our redemption. One way to harmonize these two ideas is by thinking about the relationship between ends and means. You may be familiar with this concept as it relates to prayer. Jonathan Edwards illustrates the relationship between ends and means using the example of praying for rain. In other words, God ordains not only ends but means. This principle can be helpfully applied to the case of salvation as well. God has not only ordained the end, his people’s redemption; he also has ordained the means of their redemption. Salvation (including both definitive and progressive sanctification) is entirely a work of God’s grace, in which we are called to actively participate, always according to God’s enabling power. 1 Response to Do We Participate in Our Own Salvation?